The greatest feeling of loneliness arises when we lose someone really close to us like a spouse through death or divorce or lose a close friend. A sense of loneliness can also exist if we have no close relationships with humans and we exist for long periods of time without anything important to do. Humans are a social animal but there have been historical exceptions of some mountain men who lived relatively successful isolated lives. They can’t be considered to be lonely because they were involved in a day to day struggle for survival which eliminated lonely thoughts from their lives to a large extent. If you are busy doing something that you really like which does not include humans then loneliness may not be a factor to consider and pay much attention to. It is the lonely elderly and lonely single humans without friends who sometimes have trouble coping with their loneliness and sometimes even suffer mental and health problems as a result of their isolation. The key to combating loneliness is getting busy doing something which you like which may not involve humans. A passionate hobby may be the solution to loneliness but you can also try making new social contacts via clubs, internet blogging, social networks, or doing some volunteer work for an organization. If you can’t make and maintain good contacts with humans or have pets then you may have to live alone but that does not necessarily mean that you have to feel lonely if you are doing something which you like much. 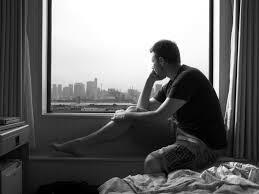 Loneliness is frequently a state of mind when you have nothing to do for extended periods of time. If you are having those problems then fill in that time with some hopefully useful activity. Even if you are bedridden you can still read, listen to radio, watch TV, and surf the internet to occupy or use up your free time. This entry was posted in common sense, education, science, society and tagged common sense, companionship, education, friendship, isolation, language, loneliness, science, society, staying busy, the truth about loneliness, words on June 12, 2014 by uldissprogis.